4Wall Provides Lighting and ROE LED Video Panels for WeChat Mini Game Developer Conference | Press Center | 4Wall Entertainment, Inc.
San Francisco, CA- WeChat, one of the world's most popular mobile apps and social networks, held their inaugural We Chat Mini Game Developer Conference this month at the Palace of Fine Arts in San Francisco, CA. 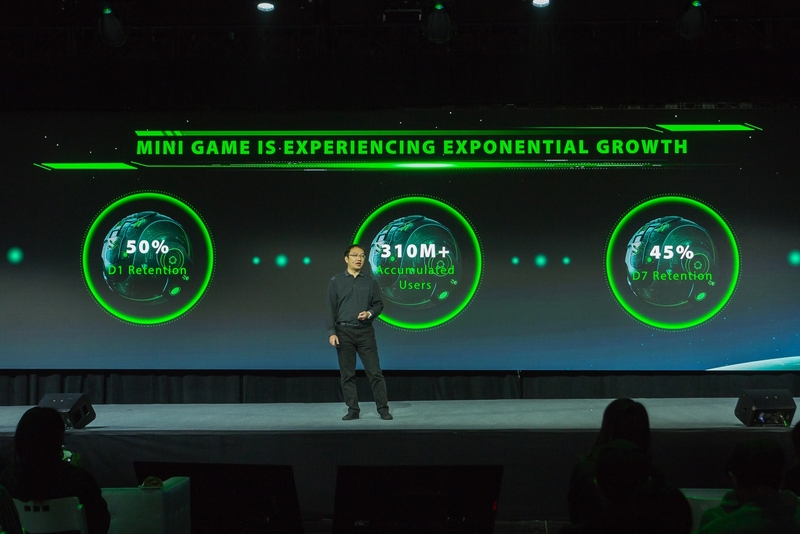 WeChat invited developers from around the world to attend the conference that centered around their new game application, Mini Game. 4Wall Entertainment provided the lighting, rigging, and video for the conference. 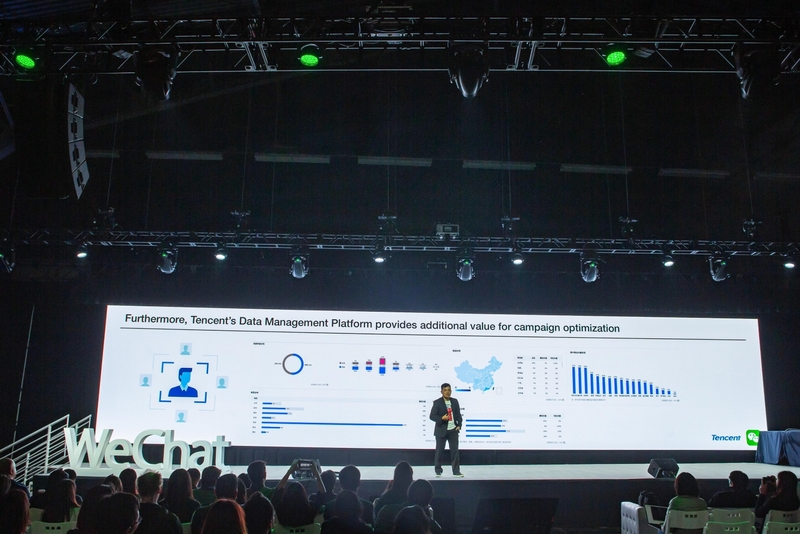 WeChat conference organizers called for a high-definition LED wall that provided a crisp image when demoing their new Mini Game application on stage. 4Wall's recently acquired ROE Visual Black Pearl 2 BP2 LED panels with a Brompton Tessera SX40 Processor were perfect for the task and played an essential role in the presentation of Mini Game to developers. 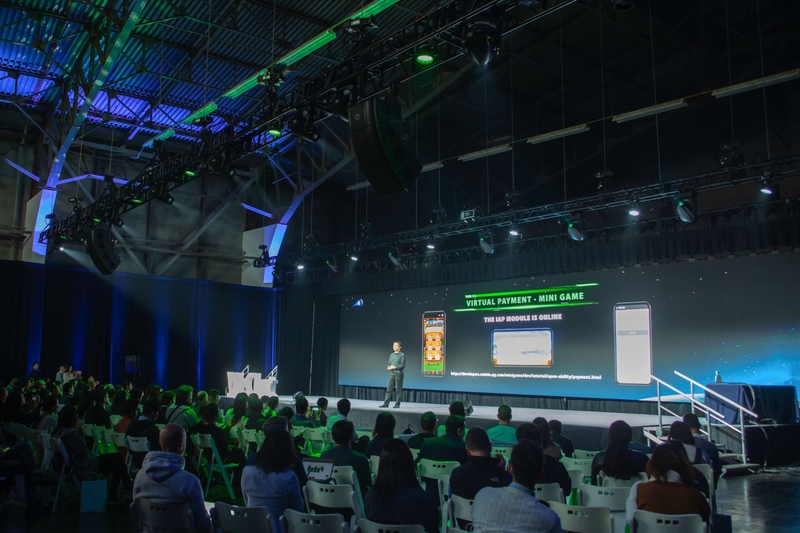 "Majority of WeChat's presentations relied solely on what we were able to show on the LED panels," explained 4Wall Account Executive Andrew Isola. 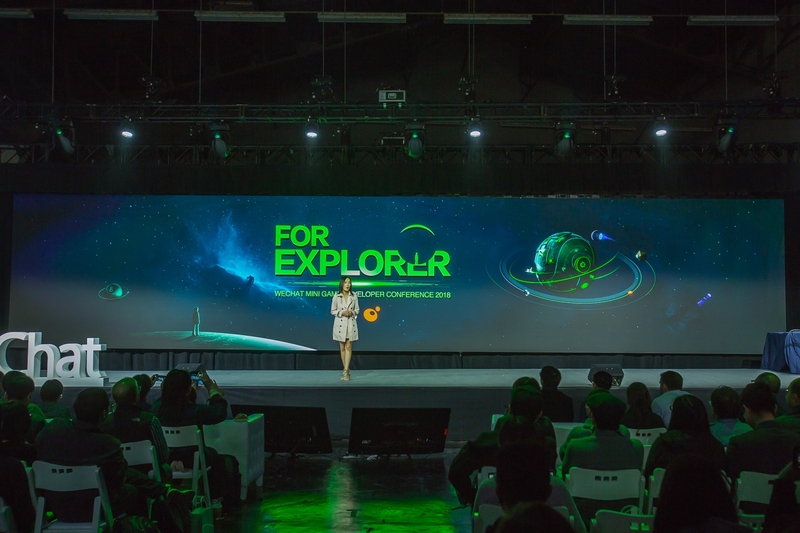 "Our new ROE LED panels couldn't have been more perfect for this job and I was excited to showcase them at WeChat's first ever Mini Game developer conference." 4Wall also provided a moving lights package consisting of Martin MAC Aura XBs, Viper Performances, and Viper Profiles for audience washes and key light across the stage. The control system was comprised of an MA Lighting grandMA2 console and MA NPUs. 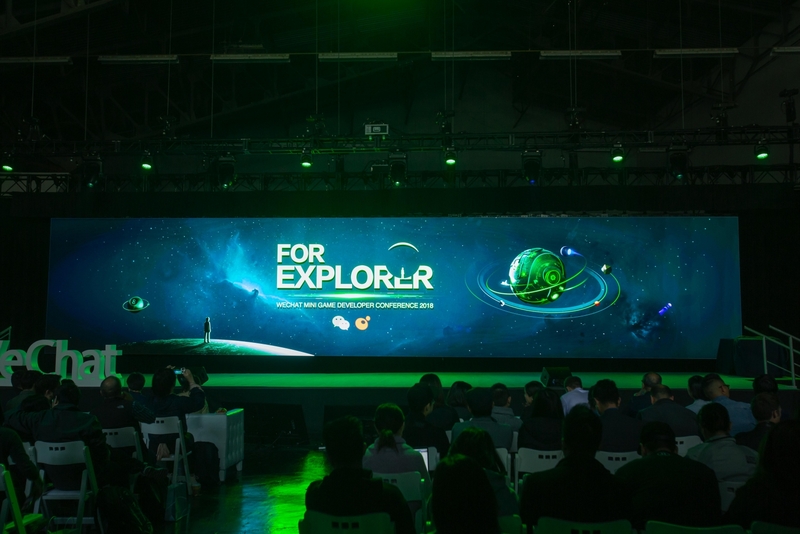 The event saw hundreds of tech-savvy developers and enthusiast from all over the world turn out to learn about the new app. "4Wall hit all client goal and budget requirements for this event and insured that the services we provided were properly integrated into the client's venue and design," concluded Isola.